Cloud Storage; What's the Price for Free Space? Cloud Storage; What’s the Price for Free Space? 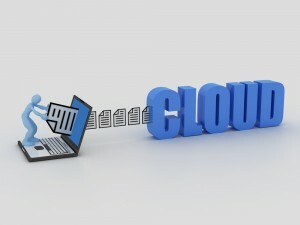 The advent of cloud storage services has brought about an evolution in the way consumers handle data. There is no doubt that data has grown exponentially over the past couple of years. The proliferation of smartphones, digital cameras, tablets, data on PCs, etc., has made society’s consumption of storage space increase at a phenomenal rate. Cloud storage is often seen as a godsend that helps relieve some of the “pain” associated with storing photos, videos, documents and large files which we want to keep, but which we don’t need to have a copy of on our own devices. It’s also probably safer to store this data using cloud storage accounts because the chances of failure are low (unless that data is seized as was the case with Megaupload). The hard disks and devices consumers use are much more likely to fail, break, be misplaced, lost or get stolen, or reach their end of life. The concept of reducing the burden of storage space issues also applies to companies, which can now outsource some of their storage requirements to a cloud-based service. This is great news for the company but organizations need to be aware that cloud storage services being used by their employees could pose a security risk. 1) Employees can intentionally or unintentionally leak confidential information via a cloud storage service. This could cause serious problems for a business. Without proper measures, employees can copy whatever they want to their cloud storage account. While some wil do so to make life easier and allow them to work remotely, there are other employees who will have less than noble intentions. 2) Downloading malicious software via cloud storage. What an employee downloads at home is their business but if that employee accesses those files in the office then a company may have an security issue to deal with. Without knowing, files in the employee’s cloud storage folder may contain malware or illegal material. 3) Draining your bandwidth. It’s really cool to be able to upload the contents of your SD card to your cloud storage account; however when you have employees downloading larger files and folders in the workplace, all that data can easily block the upload stream of the company’s expensive bandwidth. Although the upload stream is not used as much, a hogged upload stream can result in slower downloads. And slower downloads affect everyone! The same applies if employees download large files from their cloud account. With so many devices in use today, data is all over the place. Companies need to be aware of the risks that employee-owned storage accounts pose to their network. Even though ‘education’ will help reduce the risk, it’s not enough. Web monitoring software can help an IT manager identify employees who are using cloud-based storage and take action to limit its use or simply block it. GFI WebMonitor® can help your track and report on how much bandwidth is being used by cloud storage, and who are the users who are accessing these services. You can then determine whether you want to allow this or not?